Local musicians entertain families every Friday night throughout the summer. Depending on the night, you'll hear rock, jazz, pop, blues, latin you name it! Bring a lawn chair and enjoy a delightful evening with the whole family. 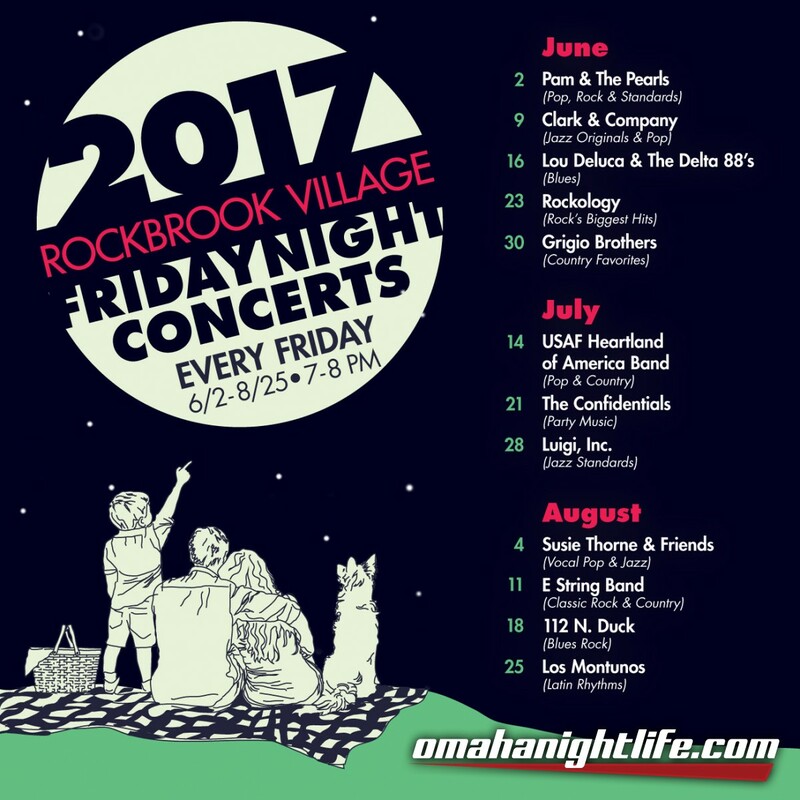 This event is co-sponsored by the Rockbrook Village® Merchants' Association, the Omaha Musicians Union and the Music Performance Trust Fund, who help fund in whole or in part, the instrumental music for these performances, as arranged by Local 70-568, American Federation of Musicians. Located near the I-80/680 interchange and West Center Road. Includes list of specialty shops, fine restaurants, and community events.